So What! is a promotional single for the Kettle Whistle album that was released by Warner Brothers in 1997. A commercial single for this track was finally released by Warner Brothers on November 8, 1999 after promotional versions had been available for two years. The commercial single was called So What! The Deep Red Remixes. The single version includes techno remixes of the title track by the group Deep Red. There are two promotional versions of this single. The first is a promo single for the Kettle Whistle version of the title track. It comes in a cardboard slip case. The promo CD itself is a full 6″ CD, however the outer edge of the disc is clear plastic. Therefore the disc looks like a 3″ mini-CD held inside a larger clear 6″ disc. 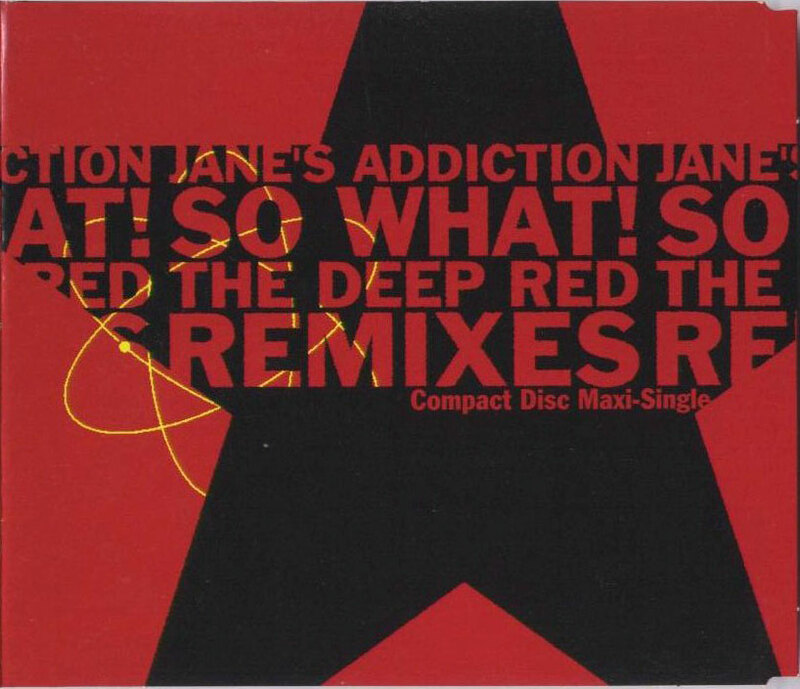 The second promotional single is for the Deep Red Remixes and comes in standard promotional packaging. There are both 12″ vinyl and CD editions of this promo. This promo has the same remixes that appear on the commercial release, however they are presented in a different order. The commercial single comes in a digi-pack. A third promo also exists, it is a “premaster” reference CD for a trio of mixes by Mephisto Odyssey. As far as we are aware, this version has not been released in any other format. It includes 3 exclusive remixes of the title track. Track 1 is simply listed as Voodoo Funk. Track 3 is simply listed as Jane’s House. Track 5 is listed as the Original Version.